A new interview with me over here at RationalHub. I talk about New Atheism, metaethics, the free will debate, accommodationism, scientism ... all sorts of stuff, really. It was a pretty searching interview. Perhaps best to talk about it over there? 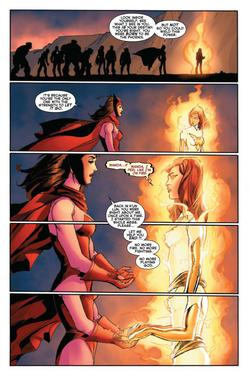 Avengers vs X-Men has come to an end with issue #12, which leaves us with us some big changes. So, what's happened? Professor X is dead. Cyclops is seen as a bad guy (after all, he killed Professor X) and he's in jail. 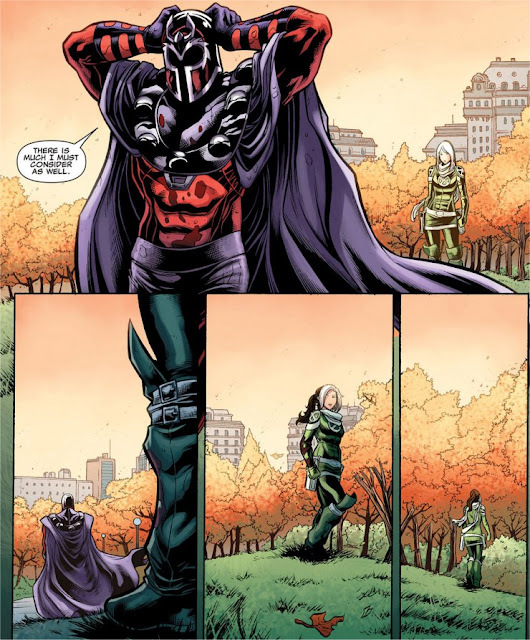 Nonetheless, the X gene has been reignited (thanks to all the twists and turns in the plot, culminating in good work by the Scarlet Witch and Hope Summers); as a result, new mutants are manifesting, but all those millions of mutants whom the Scarlet Witch depowered back in House of M have not been repowered. The number of mutants remains small, but mutantkind is no longer under threat of extinction. And that will affect the strategic situations of some of Marvel's in-universe movers and shakers. Several powerful mutants are left on the run. Among them are at least Emma Frost, Magneto and Namor (we've been shown their images on "wanted" signs), and seemingly Magik and Colossus. There may be others, but it looks as if this group at least are now regarded in-universe as bad guys. That's not entirely logical, since arguably Magneto did nothing very wrong during AvX, and the other four were under the influence of the Phoenix force and not in their right minds. Still, this makes for an interesting situation. Meanwhile, the marriage between Storm and the Black Panther has broken up, at least for now (they came to a violent confrontation earlier in the event), and (in X-Men Legacy #274) the love affair between Magneto and Rogue has also been put on hold (Rogue now needs to think things over, can't commit even when made an offer, blah, blah). With mutantkind now relatively safe and the mutant mini-nation of Utopia no longer needed in the same way, it looks as if Magneto now has no reason to keep playing Mr Relatively-Nice Guy: who wants to bet against the idea that he'll be breaking Cyclops out of prison, or that we'll be seeing him return to more villainous ways? And we've certainly been promised a lot more of Cyclops. And then there's the fact that the original teenage X-Men are going to be brought into the present (about a dozen years in their future) to confront a very different world in which one of them (Cyclops) is more or less a villain and has killed Professor X, one of them (Jean Grey) is dead, and other drastic events have taken place. They are in for a shock when they see how it all turns out for them. The new status quo will also feature an Avengers team consisting largely of mutants, including some former X-Men. That's the rationale for the Uncanny Avengers book, and it epitomises a greater willingness by the Avengers to help out in mutant affairs. (In the real world, it involves a greater willingness by Marvel to integrate the Avengers and the X-Men, its two most lucrative properties.) As we've seen, Uncanny Avengers involves a line-up of Captain America, Thor, Rogue, the Scarlet Witch, Havok (as team leader), and Wolverine, which is an odd combination of characters, some of whom don't have much liking for each other (though why is Rogue quite so pissed off with Wanda here?). Apparently they are going to be faced early on with an updated and upgraded version of one of Marvel's least sympathetic villains - the monstrous Red Skull, an irredeeemable and utterly malevolent Nazi. I got bored with AvX, as I'm sure I've mentioned previously, but these last twists in the final two issues (and in related books) take the overall story forward in an interesting way. We have quite a new status quo for the big Marvel Universe reboot relaunch that is being marketed as Marvel NOW. It hasn't escaped me that one potential effect is to bring the MU more into line with the ending of the latest X-Men movie. That is, we may have Magneto and Emma Frost in an alliance, moving into a more villainous mode than we've been seeing from either of them, on the run from the authorities, and causing trouble. I don't normally think comics should be driven by developments in the related movies, but that particular alignment pleases me. In particular, Emma has been reformed for a long time, but she's always retained a villainous edge even when doing good deeds, saving the world, etc. Let's see how she now operates - how Marvel now portrays her - if she's on the wrong side of the law. This is just your occasional reminder that you can follow me at Twitter: @Metamagician.